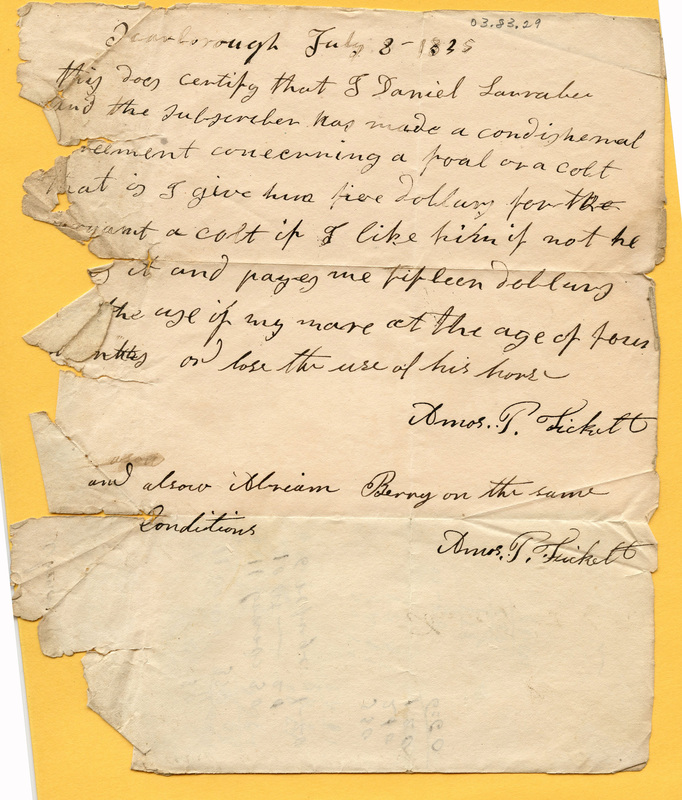 From the Lindquist Collection – 03.83.29 – 1835 note by Amos T. Fickett. From the Lindquist Collection – Note by Amos T. Fickett. This does certify that I Daniel Larrabee and the subscriber has made a conditional [?? ]ment concerning a foal or a colt [th] at is I give him five Dollars for the ??? a colt if I like him if not he ??? it and payes me fifteen Dollars ?? the use of my mare at the age of four and lose the use of his horse.